Philadelphia is known for having a rich boxing history. Philly fighters, whether they are champions or not, are known as some of the most memorable warriors to ever lace on the gloves. So it is understandable that the City is buzzing lately, as a new crop of promising boxers embark on their professional careers. The group includes Jaron Ennis, Joshua Jones, Christian Carto and a few others. All of them have either recently debuted or are on the brink of taking that first step toward their dream of becoming a professional world champion. 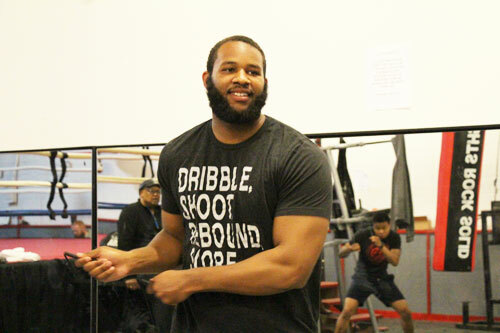 Leading the pack of these new young Philly lions is Germantown’s Darmani Rock, a heavyweight who has won almost every trophy, medal and honor available to a young amateur fighter. So for Darmani, it is time to move on to the next level. 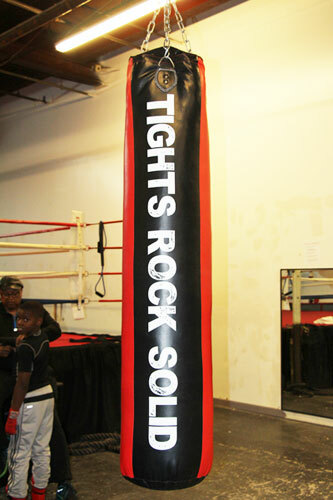 On Friday night, Rock, 20, makes his debut in a four rounder at the DC Armory. He faces Carlos Black, a 31 year old pro known as the “DC Diamond Cutter” with a 1-3 pro record. Despite the fact that the bout is only a four round preliminary, the clash may still prove to be an auspicious occasion. The fight will be part of the two-hour nationally televised BET broadcast, which hints at Darmani Rock’s importance in the big scheme of things. Another clue that Rock is something special are the many comparisons that have been made between the young fighter and top fighters of the past – including Muhammad Ali. Such hype can put pressure on a developing boxer, but Rock seems unfazed. Still, Rock doesn’t shy away from those comparisons. Rock cleaned up in the amateur ranks, especially in 2014 when he won one international competition after another. That’s when the comparisons to former fighters began. His great run that year also earned him the Briscoe Award as the “2014 Amateur of the Year”. “It felt good to be honored at the Briscoe Awards because I always went to them and I always wanted to be honored at the Briscoe Awards, and last year was my time,” Rock said. 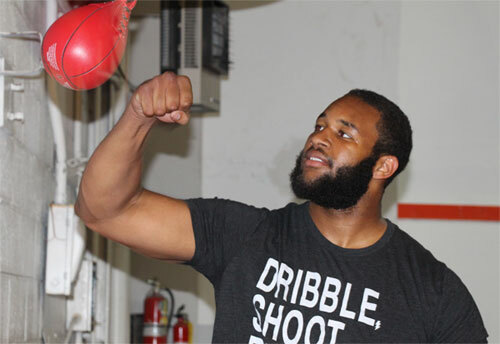 In 2015, Rock won the US National Amateur Super Heavyweight Championship, but was surprised at the Olympic Trials in December. He was the favorite to land a spot on the Olympic Team. However, Rock was eliminated before the end of the tournament, and it knocked him out of a trip to Rio. With his Olympic dreams dashed, Rock set his sights on the professional ranks. In February, Rock signed a promotional contract with Jay Z’s Roc Nation, after sifting through a pile of offers. The deal sets in motion a potentially exciting new chapter of Philly boxing history. The City already boasts Joe Frazier, Sonny Liston and Tim Witherspoon as former heavyweight champs. “I know that the history is real deep in Philadelphia,” Rock said. 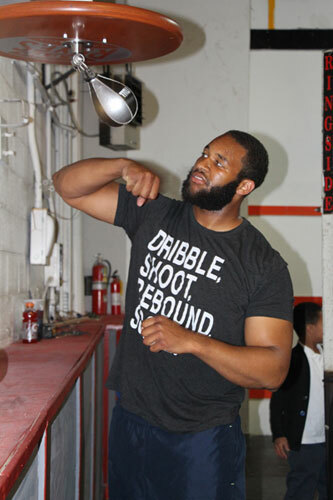 Recently, Philadelphians Bryant Jennings, Steve Cunningham and Eddie Chambers had serious campaigns for the heavyweight title. All three are still fighting, but have thus far been unable to bring the heavyweight championship back to Philly. The launch of Rock’s career, opens the latest chapter in this tried and true storyline. “My goal is to be heavyweight champ,” Rock said. However, he refuses to get ahead of himself. Rock is trained by his father, Wayne “Wiz” Rock. It’s been that way from the beginning. While in his mid-teens, Darmani went into a boxing gym to see if the sport fit. As Rock began to win fights, he began to like boxing more and more. Another thing that might have helped was that Darmani’s father set up a boxing gym just for him. 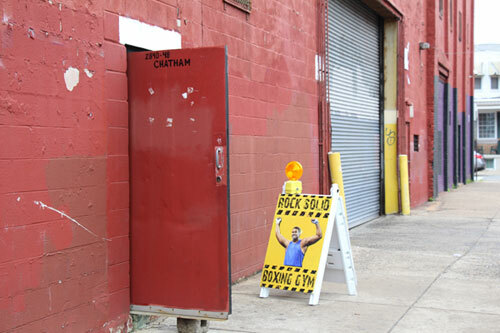 Today the young heavyweight trains at the Rock Solid Boxing Gym, built for and named after him. Now that all the pre-fight preparations are finished, Rock looks toward his coming out party in DC. After he gets this first fight under his belt, what does he expect will come next?